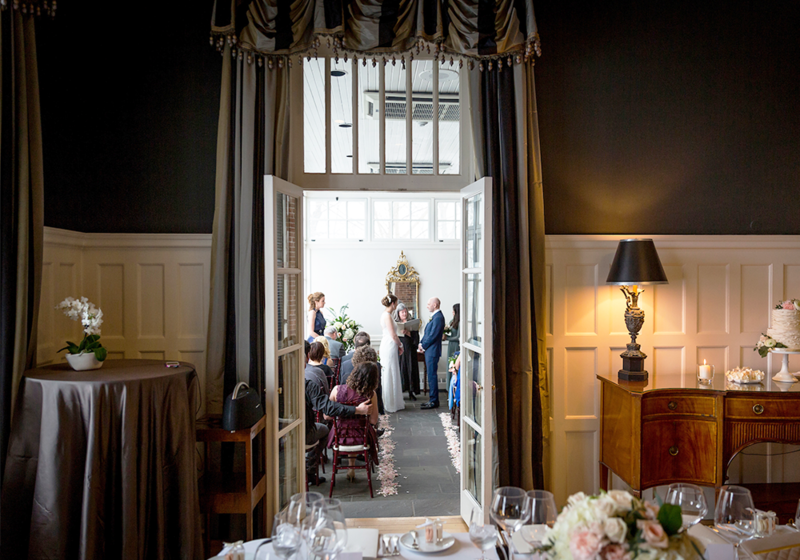 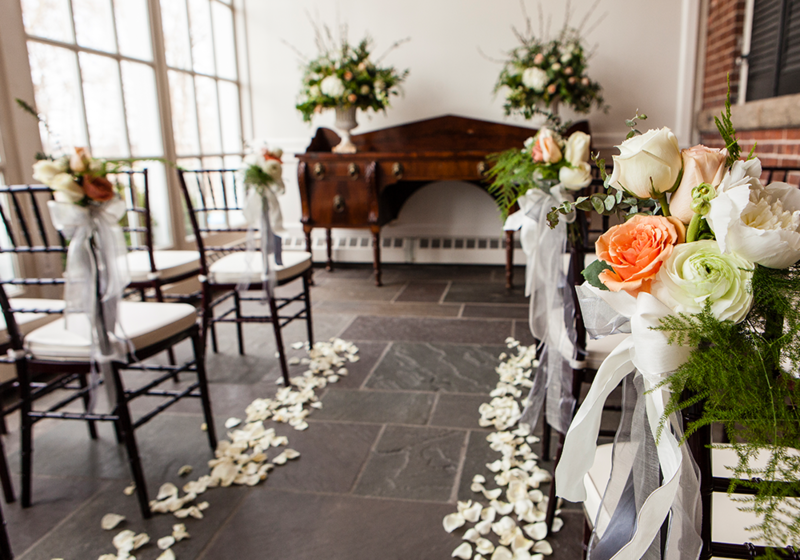 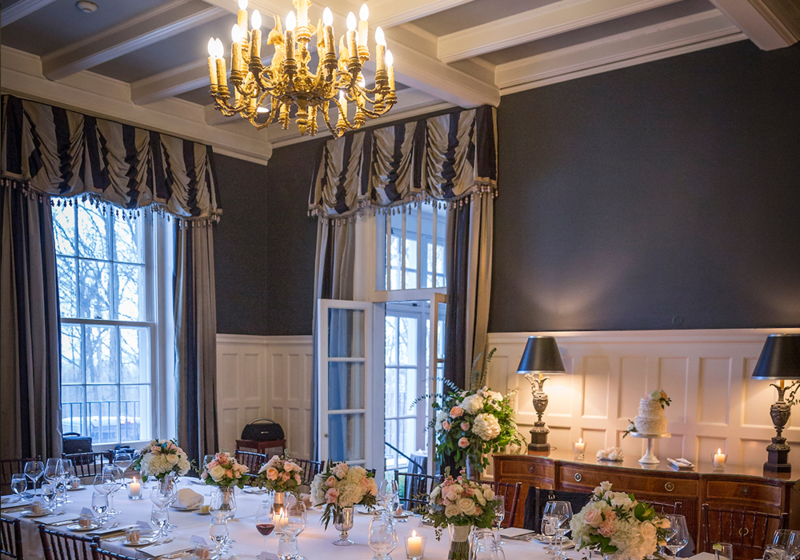 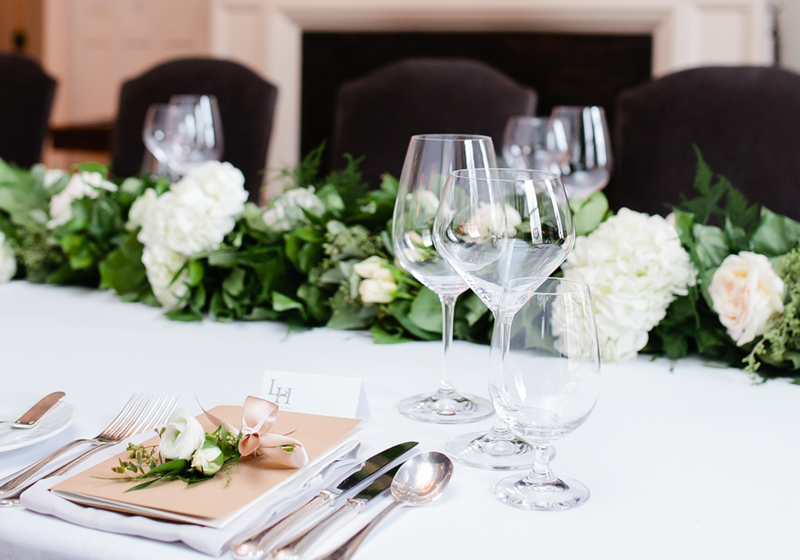 Colonel Langdon’s Room is the perfect location for an intimate wedding celebration. 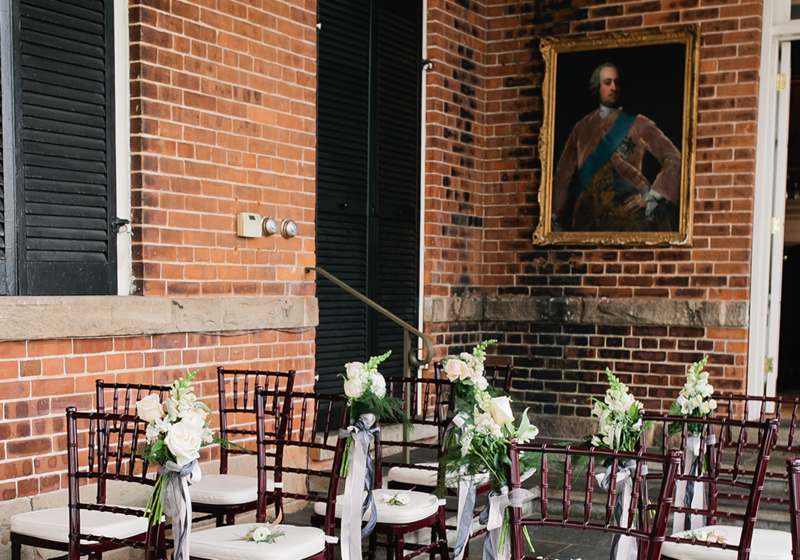 Situated in our Main House, Colonel Langdon’s was the original dining room for the house. 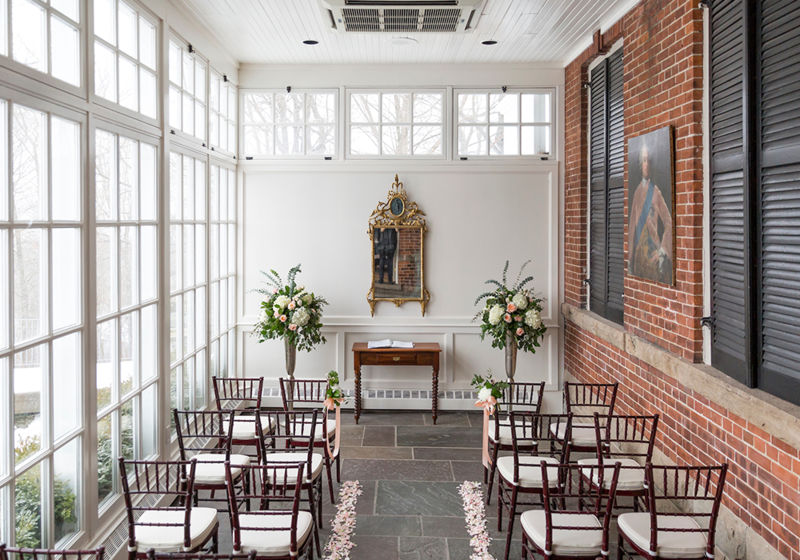 This space features a long antique dining table, wood-burning fireplace, and windows overlooking the grounds. 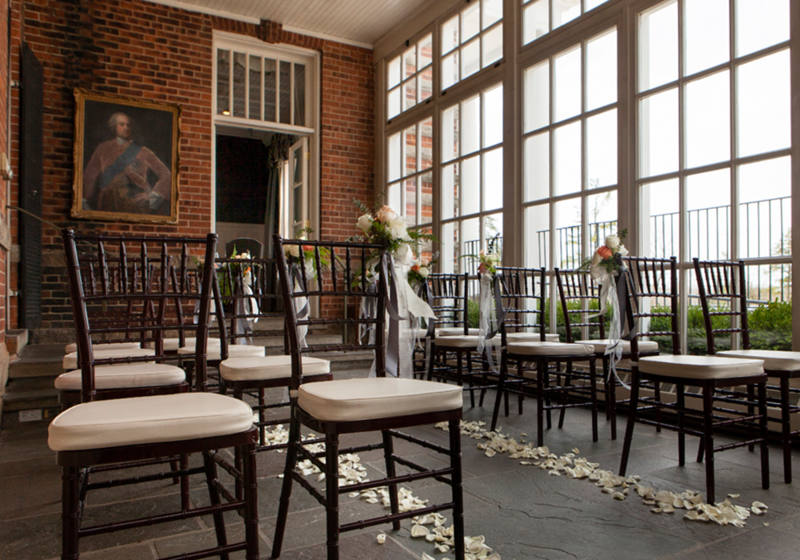 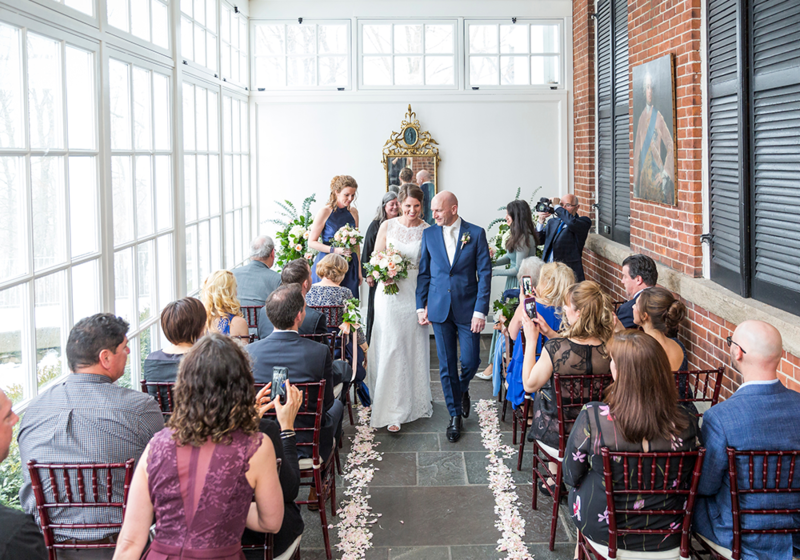 An adjoining private conservatory is the perfect venue for the ceremony and reception prior to dinner.